Bifocal contact lenses "a new lease of life"
The benefits of bifocal contact lenses have been given by one satisfied user. Cathy Bemus told the Clarion Ledger that she had had difficulty with her reading glasses, as it was inconvenient taking them on and off and having to go fetch them unexpectedly. She researched her options after her husband told her he did not want her wearing the glasses on a chain around her neck. Mrs Bemus tried bifocal contact lenses, which she had not previously realised existed. "I absolutely love them," she said, adding: "You forget you have them in." 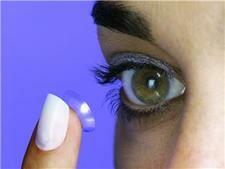 Bifocal contact lenses are available as soft or hard lenses and can be even be daily disposable lenses. Another satisfied contact lens user is concert pianist Stephen Hough. He recently used a Telegraph blog post to explain how he had switched to contact lenses after losing his glasses when he flung his head back during a performance.